The media gleefully dubbed her the "Tragedy Queen." She was one.Meena Kumari played some of the most distressed damsels in Bollywood history, but like a legend, her private life trumped the plot of any film. 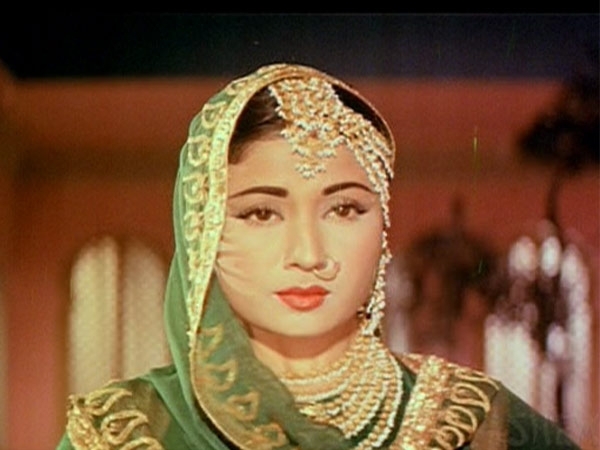 The actress was born to a poverty-stricken, theater-obsessed Muslim family in 1932. To make ends meet, her parents auditioned her for film roles when she was seven, despite her protestations. The poetically-inclined child wanted to go to school, like all the other kids her age. Unfortunately, her parents didn't care. Her natural talent scored her success as a kid and before she was out of her teens, she was already the breadwinner in her household. 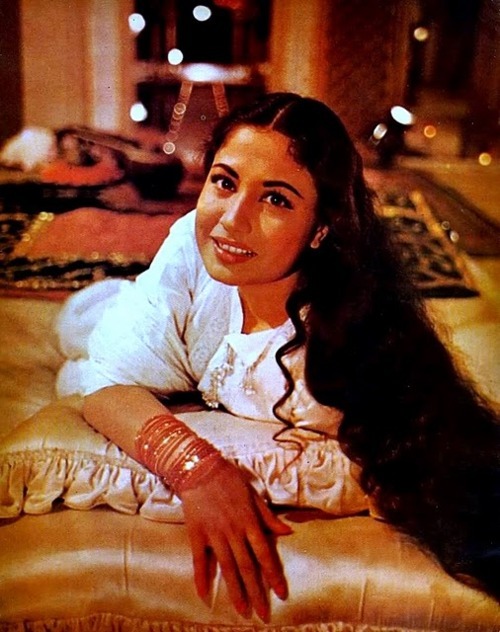 When she was 19, Meena found fame with her role as a heroine in Baiju Bawra, a film about a musician determined to avenge his father's death. 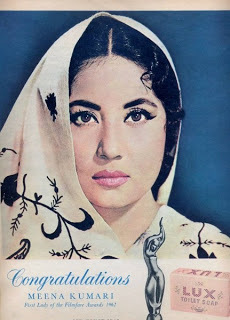 She then starred as the tragic female lead in a series of critically acclaimed movies, which earned her gobs of awards. It was during this time that Meena fell in love with the director of one of her movies, Kamal Amrohi, who was also married. The 34-year-old filmmaker left his wife for the 19-year-old beauty. But it was a rocky marriage, filled with anguish, heartache, and bitterness. The two had strong, contrasting personalities and fought constantly. Plus, Kamal made it clear he did not want his new bride bearing his children because she was not a Syed. Meena poured her sadness into heart-drenched poetry, but she also turned to alcohol. By 1960, it was no secret to the public that she was a raging alcoholic. 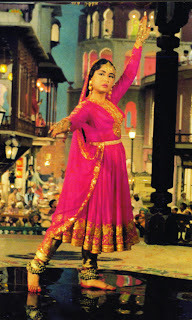 Despite her personal struggles, Meena continued to shine on the screen. 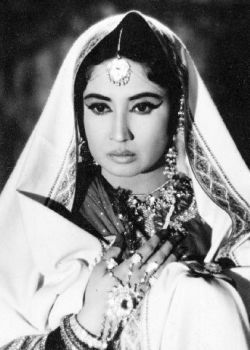 In 1962, she starred in Sahib Bibi Aur Ghulam, playing a wife who suffers from alcoholism. 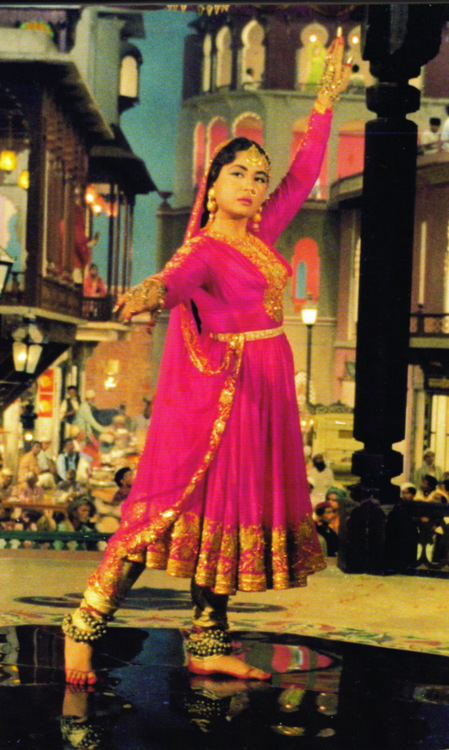 It is considered, even today, the greatest performance in Indian cinema. The tabloids, however, couldn't resist pointing out the uncanny similarities between Meena and her doomed character. Two years later, Meena and her husband divorced. The death of her marriage seemed to be the final straw for the self-loathing movie star. She started drinking even more heavily, to dull the pain. She also started having not-so-secretive affairs with much younger men. Her life was spinning out of control and her health was drastically deteriorating. Her career was also falling apart. Her beauty was fading fast and even though she was only in her mid-30s, she had already begun playing elderly women in films. In 1969, her ex-husband convinced her to complete a movie they had started before their divorce. She complied and the two tearfully reunited, in friendship not romance. After the film was released, however, she died from a liver condition due to her extreme alcohol consumption. 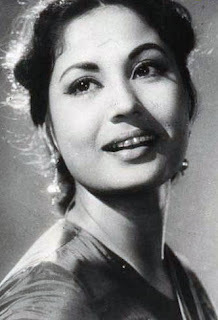 After her death in 1972, it was discovered that Meena had been practically destitute. Ironically, she had died in the same financial state her own parents had been in when they put her in films 30 years before. Colourless tales of a joyless life"